So I have come to take a closer look at the burn characteristics of the 3rd type of wood briquette I have tried. 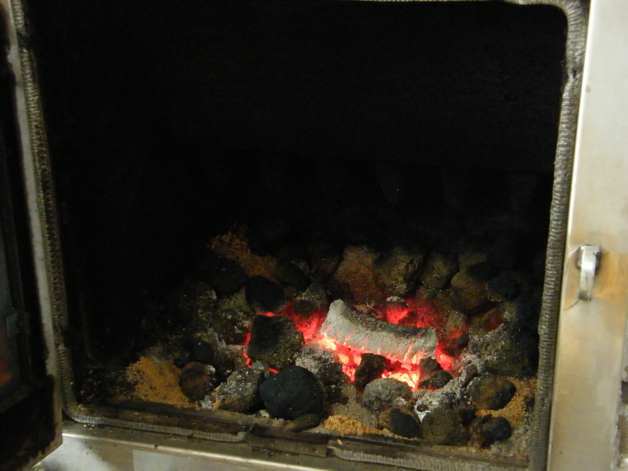 It is the hexagonal heat-treated dark type of wood briquette. Some of this type have a hole through the centre and other types don't have this feature. I would think the type without the hole would burn a bit slower and this I would prefer. 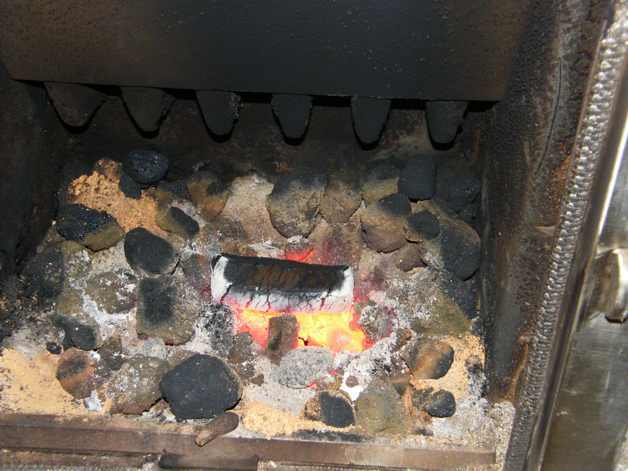 NOTE: I have subsequently written a blog post about this extruded heat treated briquette and how it differs from the compressed type. The good type of briquettes will have a hole in the center - this is due to the way they are manufactured. 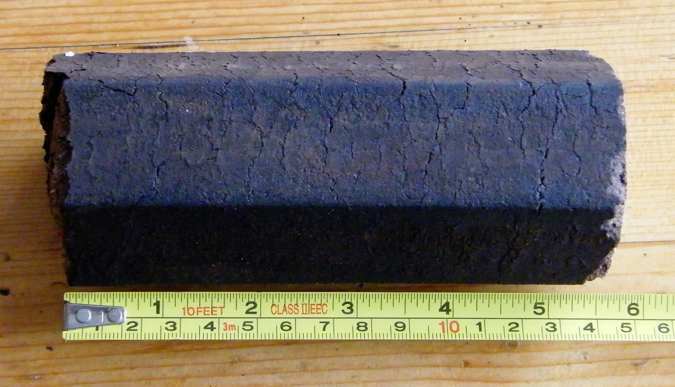 This is the only type of wood briquette I personally would have any serious interest in using. 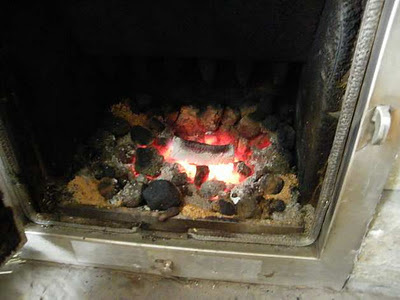 Again, I have taken a 14cm piece and placed it on a hot fire. After 30 minutes there is no expansion at all, in fact there is a slight shrinkage in length. 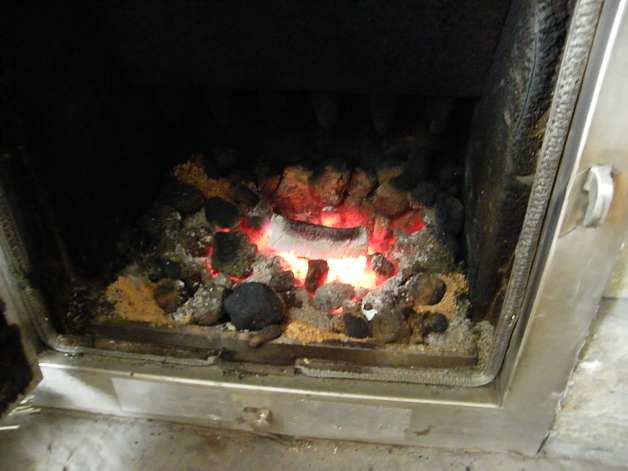 I let the time slip up a bit so it was 1 hour and 10 minutes by the time I got back to check how much the Hex Shaped briquette had burned. Pictures speak louder than words - it has been burning for 10 minutes longer than the other two experiments - and it still has a way to go. This briquette IMHO has way more going for it. 1 Hour and 35 Minutes into the burn - - and as you can see, this little briquette is still going strong. That is a full 35 minutes after the other two types I have tested have burned out. 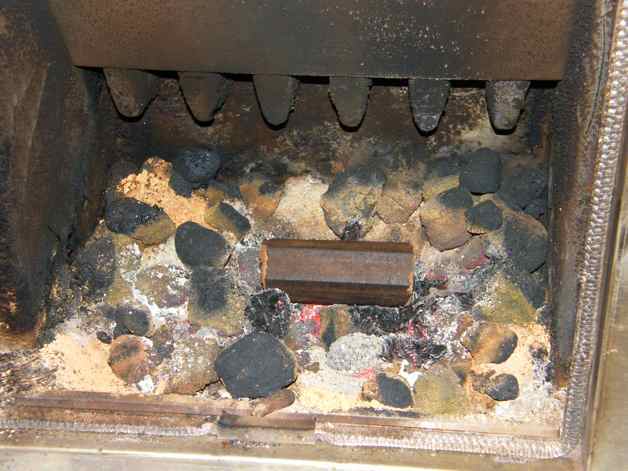 There is no doubt in my mind which type of wood briquette I would prefer to use.